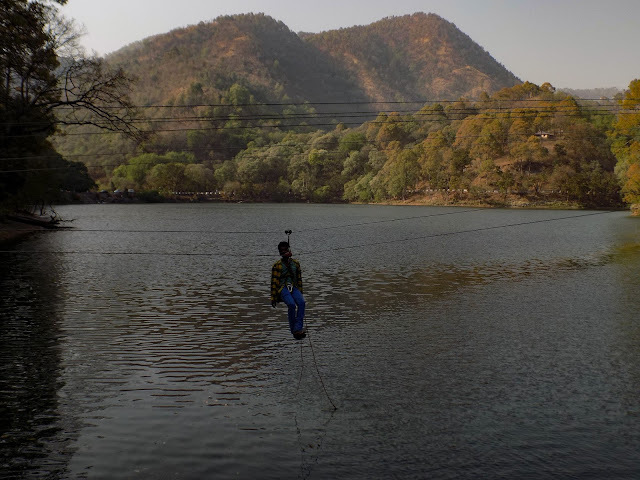 Adventure things to do in Nainital, Adventurous activities to do in Nainital, fun things to do in and around or near to Nainital | Uttarakhand Travel Guide | Travel guide & Adventure guide in Nainital. Nainital, located in North India, is a very beautiful place, where every year people not only from India but also from abroad visit for spending some stressfree time in the lap of nature. The special point about Nainital is that along with roaming here, one can also enjoy a lot of adventue activities. 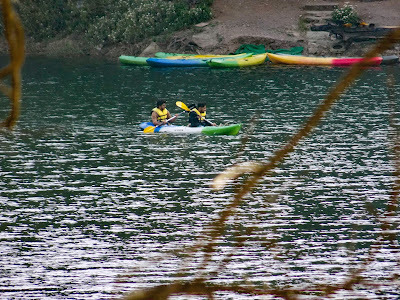 You heard it right, if you are thinking of going to a place where there is a lot of fun, peace along with some adventure activities then you will get the mash up of all these things only in Nainital. In uttarakhand you will find yourself close to nature. 1) Trekking/ hiking & Camping- Uttarakhand well known as The land of gods or devbhumi is a paradise for trekkers, The foothills of the Himalayas are just perfect for trekking and camping lovers in the country. The beauty of these high mountains attract the tourists from all over the world. There are many trekking destinations in uttarakhand that take around a week or two to complete. We will here talk about the one or two days treks in Uttarakhand. Discover those treks in Trekking Section. 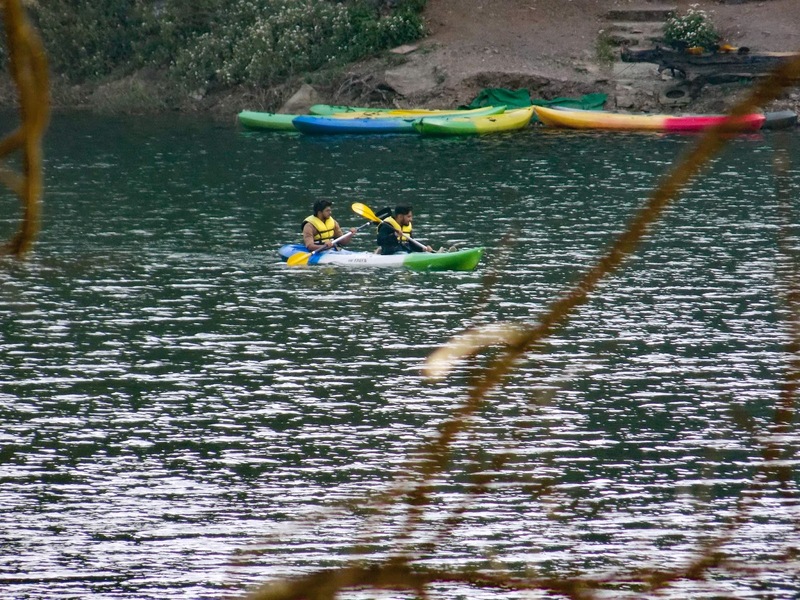 2) Kayaking- Kayaking can be done at the Sattal Lake, where you can forget all your worries as you take in the beauty of the mountains that surround you. The lake is very calm and peaceful, and promises to thrill your senses and take you on an adventure of a lifetime. Happiness can be found in the simplest of things – so take this simple ride on a kayak and redefine happiness for yourself. 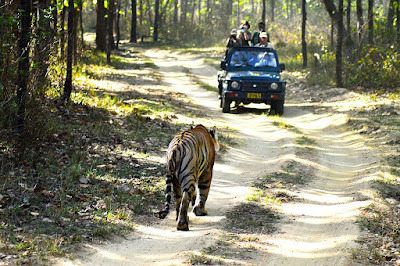 3)Jungle safari- One of the best destinations for adventure lovers is Jungle safari in Uttarakhand's world famous Corbett National Park. Wildlife safaris can be done in different zones of the park by authorised jeeps and on elephant's back. 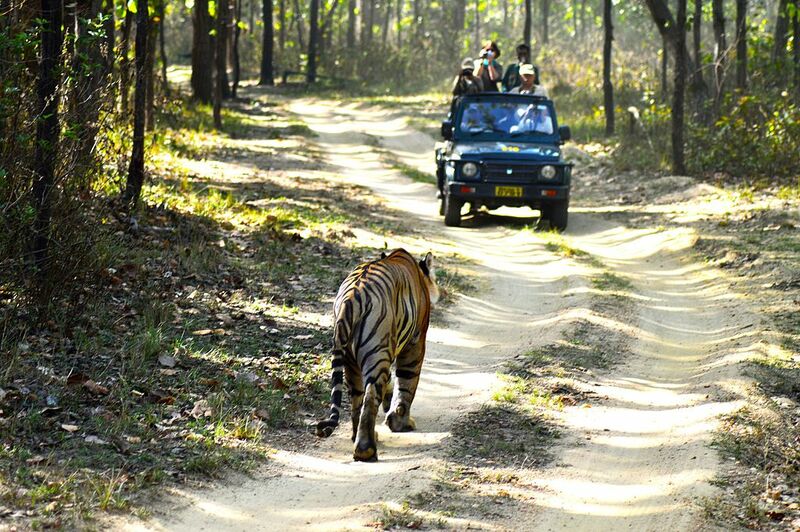 Corbett National Park located in Ramnagar. Ramnagar is also a railway station. 4) Ropeway- Ropeway in Nainital is extremely adventurous activity. 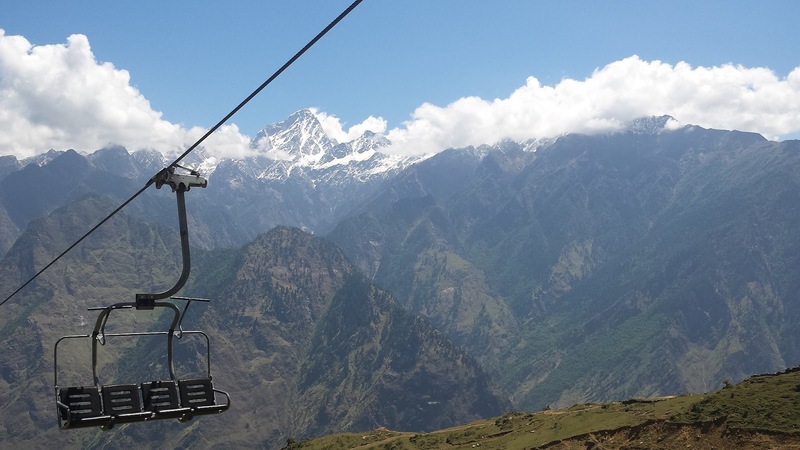 Ropeway takes you to snow view mountain from the heart of the city at Mallital ( upper lake market). From the Trolley onc can have the mesmerizing view of Naini lake and whole Nainital hill station. A must do activity in Nainital. 5) Bird watching- Bird watching requires you to observe the surroundings and look for birds. Nainital district is a birdwatcher’s paradise. More than 500 different species found here in alone Nainital district. 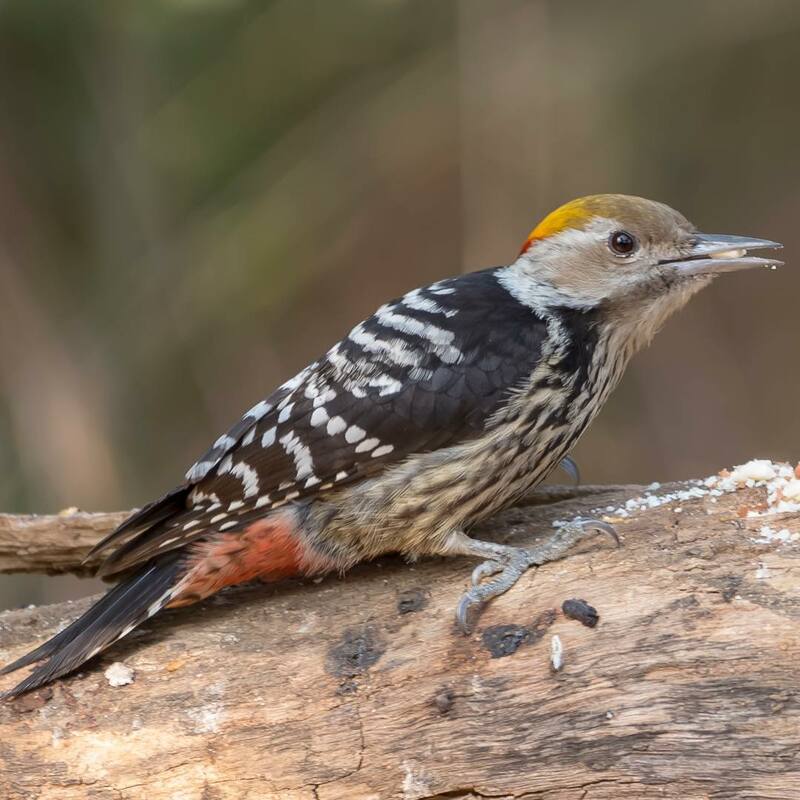 With the best birding tours in Nainital, its avian fauna boasts the Himalayan Kingfisher, Gourd Sunbird, Rufous Babbler, Buzzards, Woodpeckers and Parakeets. Popular birding spots here include Sattal, Corbett National Park, Mukteshwar and Mahesh Khan. 6) River Crossing- River crossing requires you to cross the river using a rope. All you need is patience and strength in order to successfully complete this task. Safety gears will make sure that you have a risk free activity. 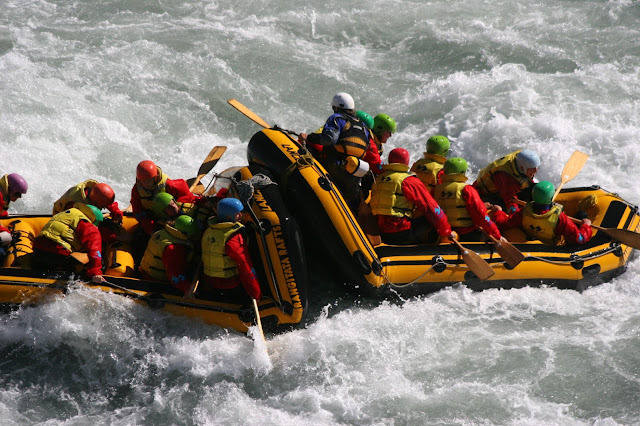 It is a unique activity which will surely satisfy the quench for adventure and thrill. Sattal is the nearest location to Kathgodam ( nearest railhead) that organizes this activity. click here to know more. Human's desire to fly is active since ancient times. One can make it's dream of flying come true with paragliding. 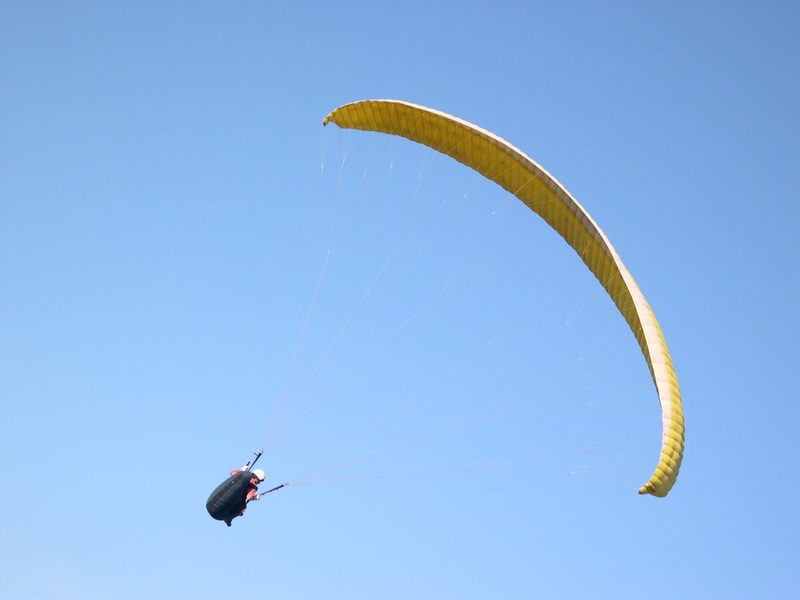 Paragliding is an exhilarating experience- after all who wouldn't love to get wings like a bird and fly away from his earthly concerns. One can make its dream come true in Naukuchiyatal, Ghorakhal in Nainital District. Go through our site to know more. 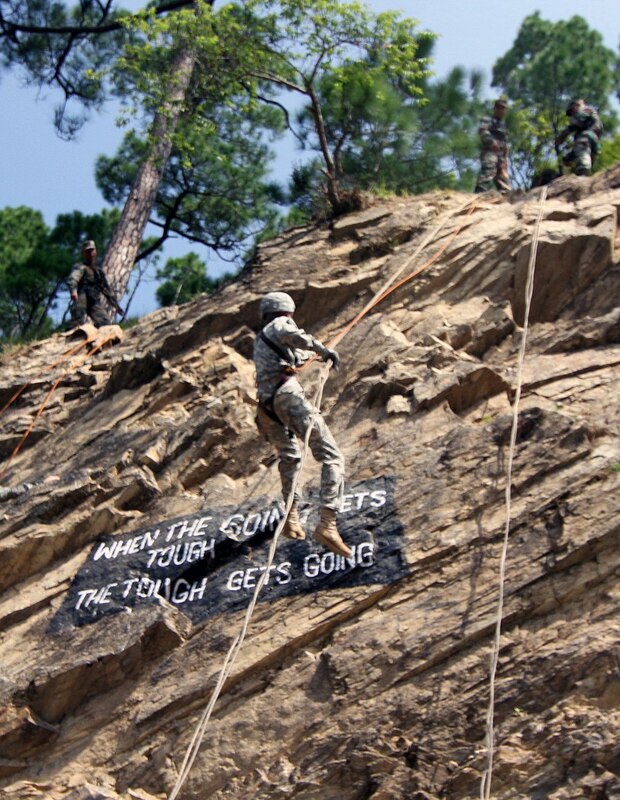 A US Soldier rappelling at Ranikhet Cantonnment. Mountain rappelling is a popular recreational activity, particularly among rock climbers who need a way to safely descend a sheer cliff face. In simple terms, rappelling involves climbing down steep rocks or a mountain, with the help of a rope. Equipments like a harness, carabiners, ropes, helmet, etc. is used in this adventurous outdoor activity. You can feel the adrenaline rush through your veins while you gradually descend down the mountain surrounded by the beauty of nature. Rock climbing is an activity in which participants climb up, down or across natural rock formations or artificial rock walls. The goal is to reach the summit of a formation or the endpoint of a pre-defined route without falling. Rock climbing is a physically and mentally demanding sport, one that often tests a climber’s strength, endurance, agility and balance along with mental control. Does a hectic life leave you distracted or anxious? 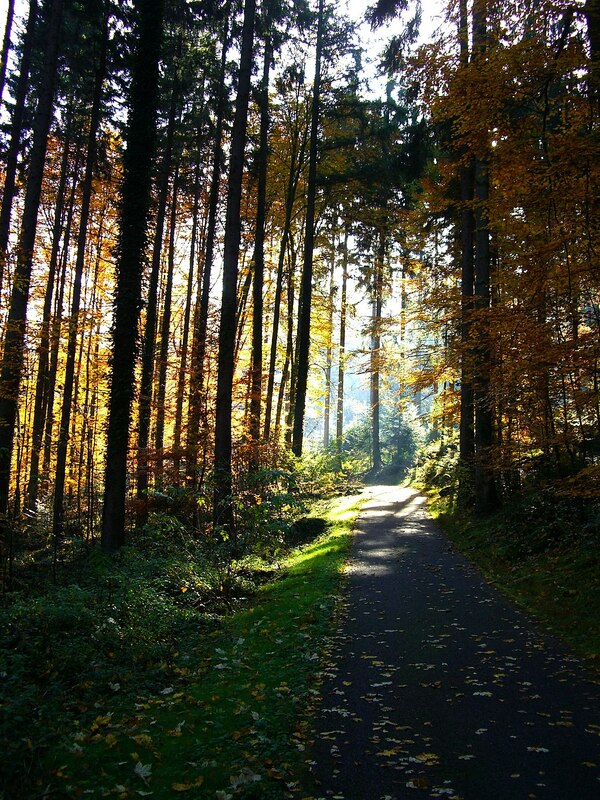 Nature walks are a great way to soothe your mind. The best way to enjoy nature walks is to take your time. 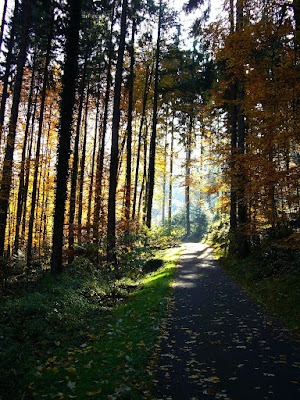 An ideal pace lets you appreciate nature’s tranquility and subtle gifts while still getting some exercise. Listen closely to birds and insects, the wind moving past different leaves, and the sounds of earth underfoot. Go alone or remain silent. Talking makes it difficult to tune in to nature. Draw all your senses to one thing – a tree, a flower, a rock. Pay attention to how it looks, smells and feels. Best places for Nature walkThere are abundance of those places in Nainital district that are good for nature walks like Sattal, Kausani, Ranikhet, Mukteshwar, etc.